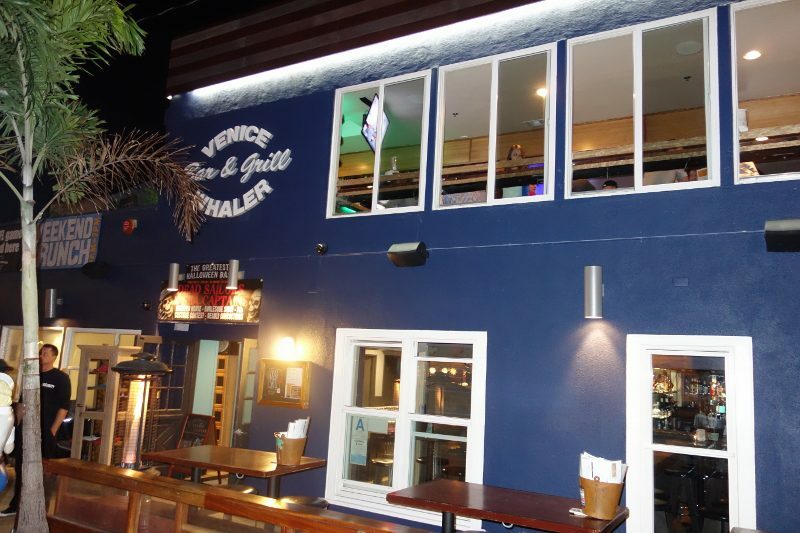 Well, yes, that is the location but the 70 year old restaurant/bar has a new owner who has restored the Venice Whaler into an “upscale dive bar” featuring craft cocktails. 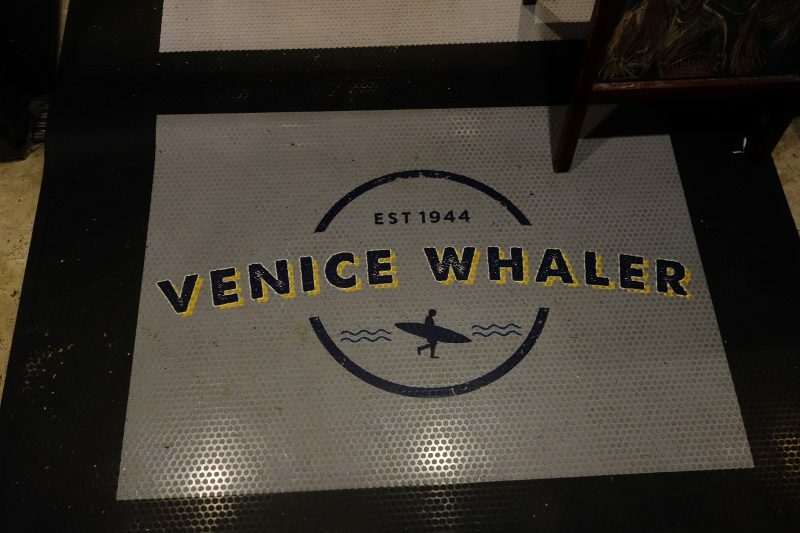 Venice Whaler has two floors. Upstairs with a deck overlooking the beach, the vibe is still local dive bar. They offer some craft cocktails but the crowd upstairs is a bit more of a beer drinking, red bull and vodka crowd. But downstairs the bar offers a craft cocktail menu. 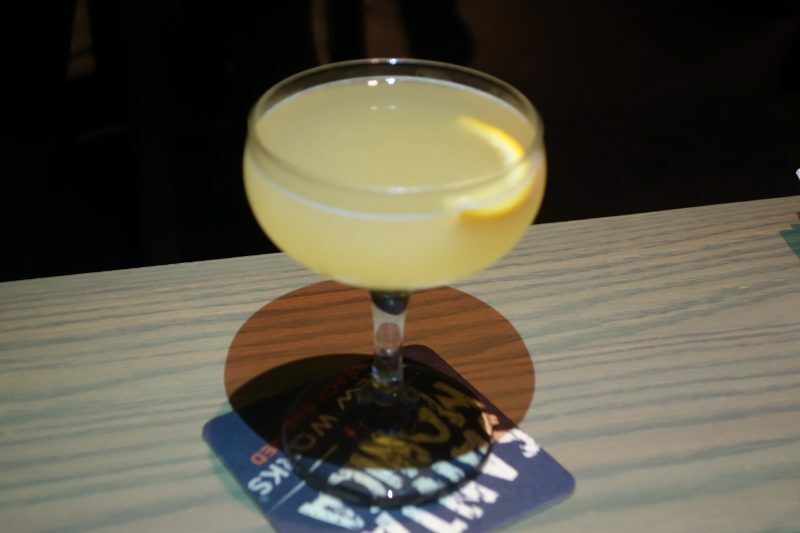 Tart and bright, the AWOL (Applejack Brandy, Orange Curacao, Pineapple Gum) was perfect to start with. The Moscow Mule (Vodka, Ginger Citrus Syrup, Ginger Beer, Angostura Bitters) is a simple cocktail that I enjoy but doesn’t typically excite me. But the ginger citrus syrup and angostura bitters in this one knocks it out of the park. 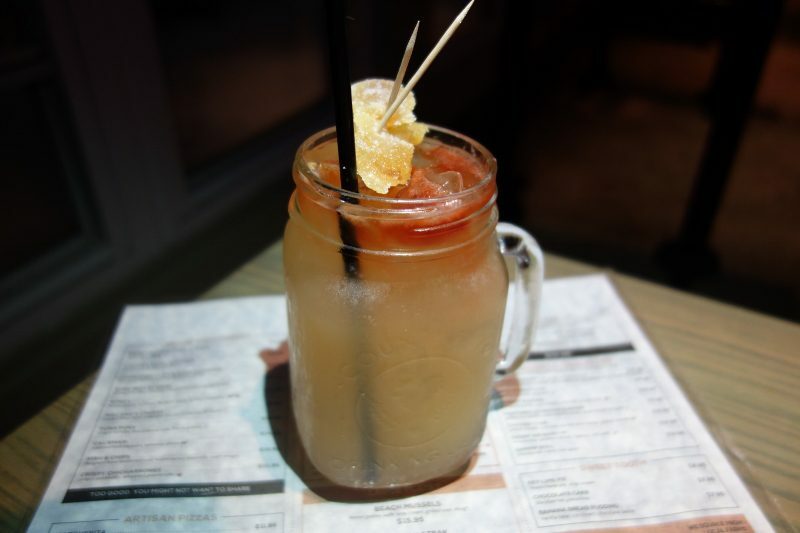 If you like beer cocktails, try the California King (Wild Turkey Bourbon, Grapefruit, Strawberry, Orgeat, Lagunitas IPA). Loved the tart grapefruit and sweet strawberry with the bourbon. Yes, our rosemary garnish was longer than the glass. 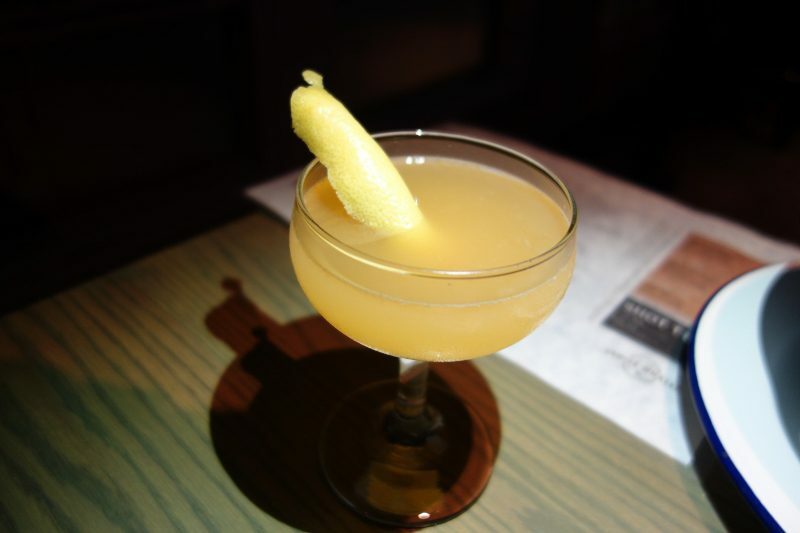 As a nod to the Southern California/Venice community, Whole Foods (Broker’s Gin, Carrot Juice, Orange Juice, Green Chartreuse, Beet Bitters) is perfect for those that want some extra nutrients in their drink. 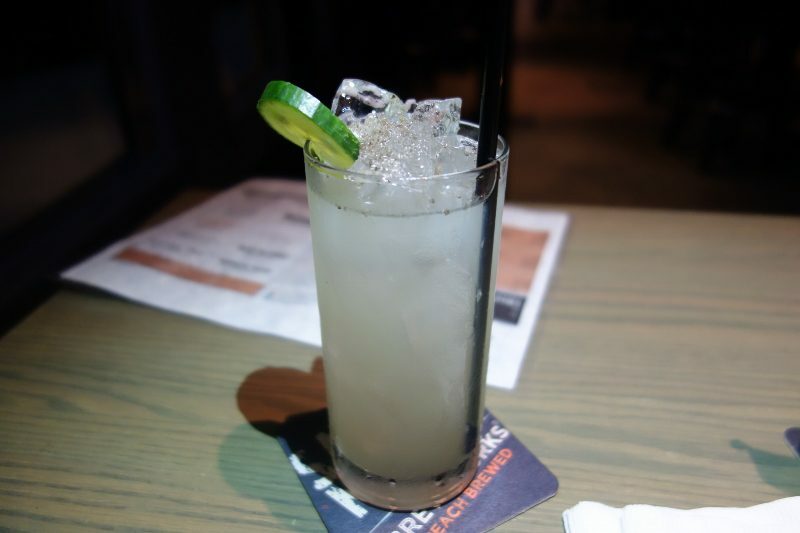 For smoky lovers, the Duke’s Suenos (Broker’s Gin, El Silencio Mezcal, Cucumber, Key Lime, Orgeat, Smoked Salt) is for you. 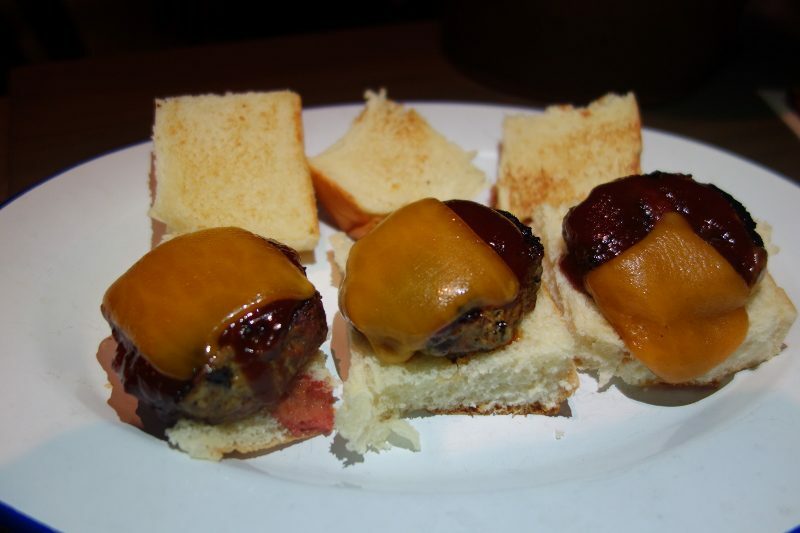 While sipping cocktails, there is a full menu of what you would expect in a dive bar……tacos, sliders, fish and chips, but also a lot of vegetables. Call it an upscale dive bar because they are not serving greasy food. 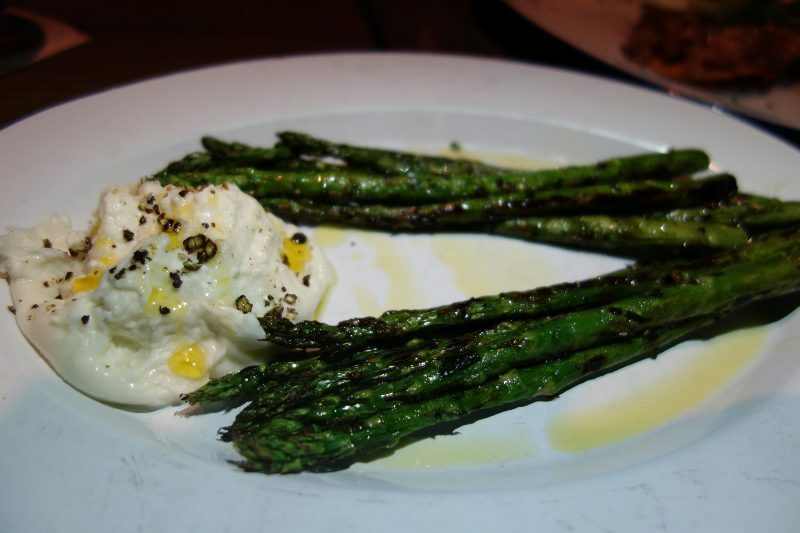 The flavors are clean and fresh, as is the presentation. Venice Whaler is now also serving brunch. What’s better than a place overlooking the beach where you can wear shorts and flip flops and still get good food and drink? This entry was posted in Cocktails, Food and tagged Cocktails, DrinkWire, food, Liquor.com, Upscale Dive Bar, Venice Beach, Venice Wahler by Allison Levine.